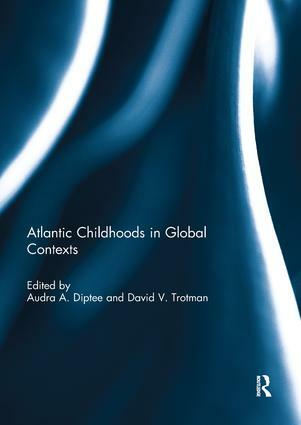 Atlantic Childhoods in Global Contexts explores childhood and youth in the Global South. The term childhood often conjures images of innocence, vulnerability and the need for protection, but this book suggests that, in colonial contexts, these images need to be re-examined. In fact, as the articles in this collection demonstrate, deviance, culpability, and a presumed autonomy were the more popular notions of childhood in the colonial context. These notions were held by the various actors in the colonial drama, not only colonial officials but interestingly enough often by the colonized people themselves. Furthermore, traditional notions of childhood as a period of total dependency are challenged in this collection, as the various authors explore the ways in which children were pro-active agents who shaped notions of childhood and therefore our understanding of the history of childhood. This collection provides in-depth analysis and offers new perspectives on how children were imagined and constructed (both legally and informally) in the colonial context. The contributions cover a broad geographic range that spans the Caribbean, Latin America, Africa, and India. Each of the authors explore the ways in which the interplay of Atlantic and Global influences shaped young people’s experiences, as well as the discourses that were used to articulate concerns about youth. The themes explored in this collection include the pathologization of childhood, juvenile delinquency, cultural creativity, and the use of child labour. The book ends with an interview by Sara Austin of World Vision Canada who discusses the ways in which the UN Convention on the Rights of the Child neglected to include the voices of children until 2014. This book was originally published as a special issue of Atlantic Studies: Global Currents. Audra A. Diptee is an Associate Professor in the Department of History at Carleton University, Ottawa, Canada. She is the author of From Africa to Jamaica: The Making of an Atlantic Slave Society, 1776-1807 (2010). She is the Managing Director of the non-profit The History Watch Project, which brings together scholars committed to researching methods of critically applied history, and actively engaging with practitioners on matters related to the Global South. David V. Trotman is an Associate Professor in the Department of History at York University, Toronto, Canada. He is the author of Crime in Trinidad: Conflict and Control in a Plantation Society (1987). He is currently working on two studies, one examining the social history of policing in the Eastern Caribbean between 1834 and 1962; and the other using a Trinidadian steel band group to look at the social tensions of a colonial urban space.